To Max Kobernick, stories matter. Whether it’s an oral history from his grandmother, the circumstances of an Honor Council hearing, or an in-depth discussion of politics with Mr. Wahlgren, Max is eager to hear and share stories from many different perspectives. His story at Shorecrest began at the end of the sixth grade when he came to the school for a shadow visit. “My earliest memory is shadowing with Chris Jayson, who is one of my best friends now,” Max remembers. Enrolling at Shorecrest during Middle School allowed Max the opportunity to participate in an important Shorecrest tradition - the eighth Grade Passion Project - an open-ended, in-depth study of any topic of the student’s choice. For his project, Max chose storytelling, conducting an oral history with his grandmother. “My grandmother is a Holocaust survivor. She told me her story when I was little and it's something that's been very important to me ever since.” For the project, Max interviewed his grandmother and drafted a novel telling the story of her experience. While the novel may remain in draft form, hearing his grandmother’s story has led Max to a sustained interest in Holocaust education that has fueled his History Fair projects, his course of study, and even how he spends his spare time. 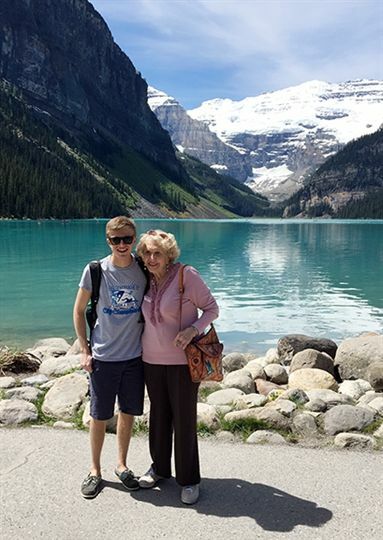 Following his sister’s footsteps, Max began volunteering with the Florida Holocaust Museum his sophomore year working with the Teaching Trunks Program. His work with the Teaching Trunks began with simply adding materials and repackaging DVDs, but quickly grew to a leadership role. Max led a team of volunteers in identifying and contacting schools to use the program, later creating a database to track and record each school’s shipment and usage. “We’re striving to cover all of Florida, especially counties in rural areas that don't have access to places like our Holocaust Museum,” says Max. In addition to appreciating stories, Max is also skilled at finding connections. As a senior Max served as Honor Council President, on the Relay For Life leadership team, President of Interact Service Club, and in Youth in Government. He also pursued the demanding Global Scholars Initiative (GSI) track, a specialized academic track elevated by additional study in foreign language and social studies along with a senior capstone project. Instead of seeing these as discrete demands on his time, Max found a way to make connections across his various commitments. For his senior GSI project, Max did a three-part project on Holocaust education involving service learning with the Holocaust Museum, research comparing Holocaust education in five different countries, and an analysis of missing pieces of Holocaust education. From the latter, he learned that documenting survivor history was critically important and increasingly difficult, given the aging of the survivor population. To further contribute to Holocaust education, Max conducted interviews of four different survivors. “It was interesting to talk with them about recent instances of anti-Semitism, to hear their opinions on that and what needs to be done,” says Max. To share the oral histories, Max uploaded the videos to YouTube where they are publicly accessible for others to view and use. Max loved the small class size of only eight students and found it an especially interesting course because of current events. “We were talking about China's one-child policy and then literally one day in the middle of our China unit it became a two-child policy,” Max recalls excitedly. 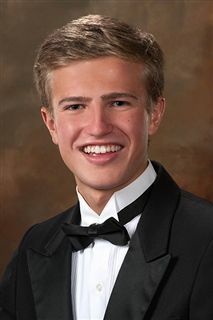 Named Top Scholar freshman, sophomore and junior years, Max was a National Merit Finalist his senior year and Valedictorian of the Class of 2017. He will attend the University of North Carolina at Chapel Hill as a Morehead Cain Scholar - a prestigious honor that offers a full tuition scholarship and participation in extensive leadership opportunities both on and off campus.